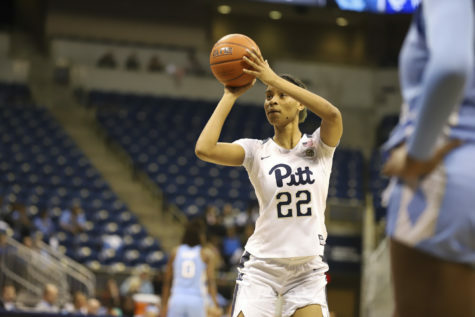 When Lance White watched Jeff Capel — the next head coach of Pitt’s men’s basketball team — speak about his late father’s advice to take time and sleep on big decisions, he figured he would follow that advice if he was ever given the same opportunity. 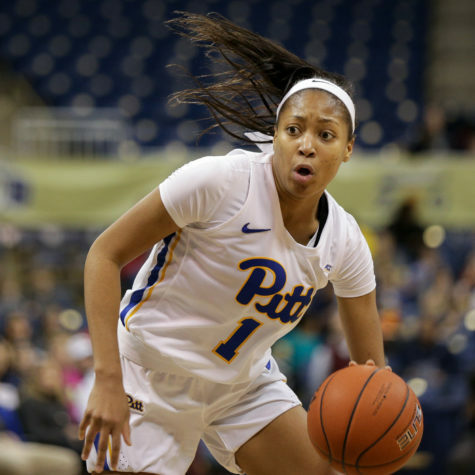 Instead, when he was offered the role as head coach of Pitt’s women’s basketball team, he accepted the job offer without hesitation. 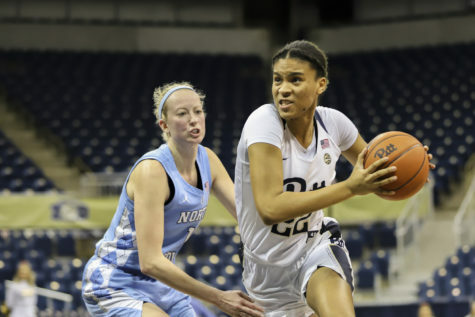 “Then I get the call, and all of that meant nothing as I started crying — I’m so glad we weren’t on FaceTime or Heather wasn’t there because it was just the immediate of ‘yes, yes, yes,’” White said. 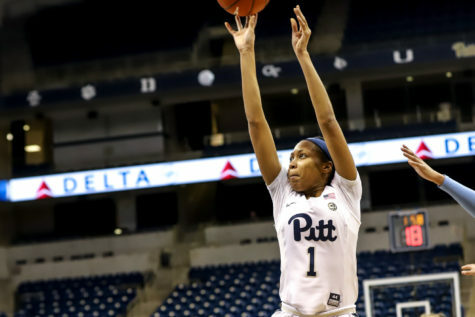 Pitt Athletic Director Heather Lyke introduced White, who is coming from his position of assistant head coach at Florida State, as the next women’s basketball coach at an introductory press conference held at the Petersen Events Center Thursday. 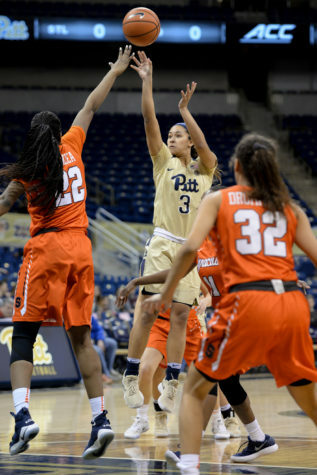 In front of White’s wife and two children, Chancellor Patrick Gallagher, the women’s basketball team and University students and staff, Lyke spoke about how excited Pitt’s athletic department was to welcome White. After taking the podium from Lyke, White discussed his basketball journey, starting with his upbringing in the small town of Spur, Texas. 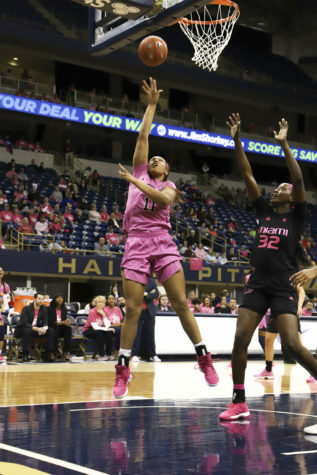 He reflected on his opportunity to assist legendary Texas Tech University head coach Marsha Sharp, which led to his most recent position at Florida State under head coach Sue Semrau. The Seminoles reached the NCAA Tournament in 13 of White’s 14 seasons since 2003, and he was named the Women’s Basketball Coaches Association National Assistant Coach of the Year in 2017. 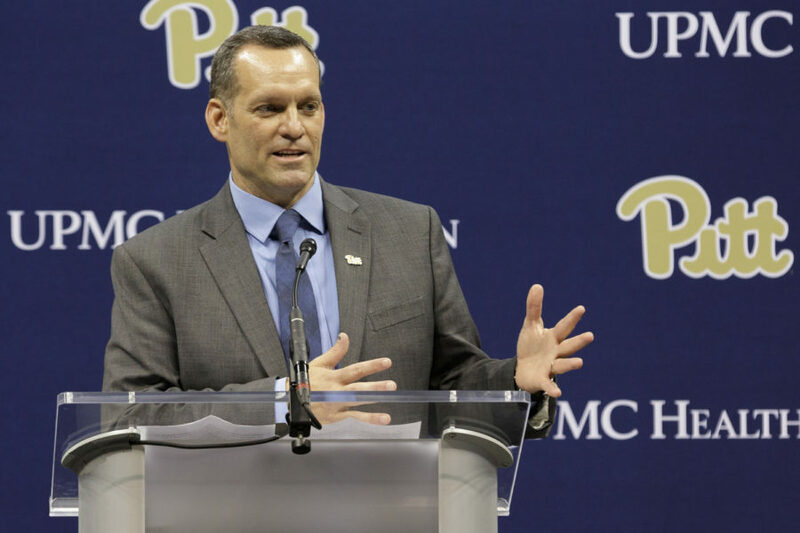 White addressed what made the Pitt head coach position an enticing option, noting that the University’s interest in women’s athletics was a great fit for him as a teacher and builder. White also talked about what he will bring to the program as a legitimate recruiting force. As the father of two kids, White looks at recruitment from the perspective of the players’ parents. 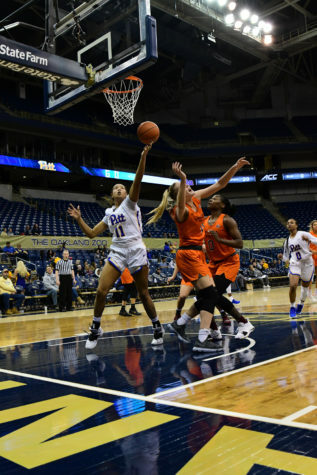 “Whenever I go recruit, I know what it feels like to have a daughter — to sit in a dad’s home, [to look into] a mother’s eyes and look at her and know that what I’m telling you is exactly what I would want to hear from somebody that wants to take my daughter to college,” White said. 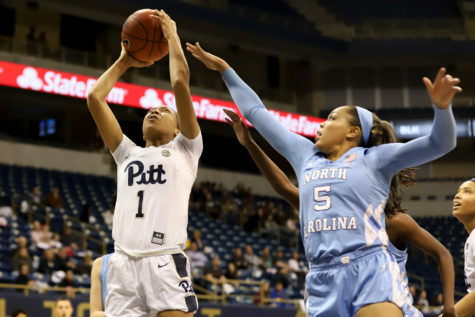 White expressed his ambition to get to work right away with the current women’s basketball players, starting with re-recruiting them and testing how their individual methods can fit together as a team. 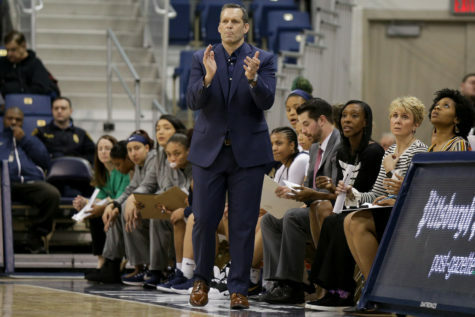 White succeeds former head coach Suzie McConnell-Serio, who was fired April 5 after holding the position for five years. 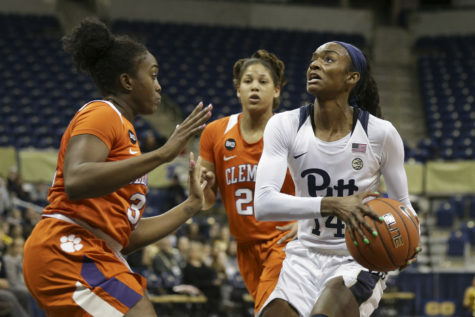 She left the program with a record of 67-87 overall and 22-58 in the conference. White concluded by encouraging the players to dream endlessly about “what a little orange basketball” can do. He said the sport has given him multiple opportunities, from traveling around the world to teaching young kids, and wants his players to be aware of what the game can open up for them.